Shoppers in need of versatility, affordability and reliability need to take a closer look at the pre-owned inventory of Mitsubishi models currently available at Buy Direct Truck Centre! 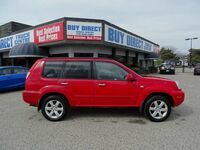 In addition to pre-owned Nissan models, Buy Direct Truck Centre specializes in offering pre-owned vehicles of all makes and models. Our inventory is constantly changing, so you'll have to stop in to see what's currently available! Want to learn more about our current supply of pre-owned Nissan models? Keep scrolling to find out more! 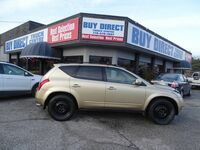 Buy Direct Truck Centre is home to a host of pre-owned Nissan models, including the popular Nissan Rogue! Check out a like-new 2018 Nissan Rogue SV model with only 32,047 km for only $25,995! The Rogue features all-wheel drive, Intelligent Emergency Braking, a rearview monitor and more! Looking for something a little more premium? Check out luxurious and rare 2018 Nissan Armada Platinum Owner's Executive Demo model! The exclusive Armada Platinum model includes four-wheel drive, a chrome grille, 3 LCD monitors with a DVD rear entertainment system, remote keyless entry and so much more! Treat yourself to some executive wheels! Stop down to check out our full inventory of pre-owned Nissan models today! Buy Direct Truck Centre encourages interested shoppers searching for the best deal on a pre-owned vehicle to schedule a test drive of a used Nissan model! 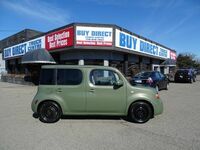 The inventory of Buy Direct Truck Centre is home to a host of makes and models. Additionally, Buy Direct Truck Centre is home to a number of wholesale vehicles for drivers looking to save even more! Contact us or stop into Buy Direct Truck Centre of Kelowna, BC today!